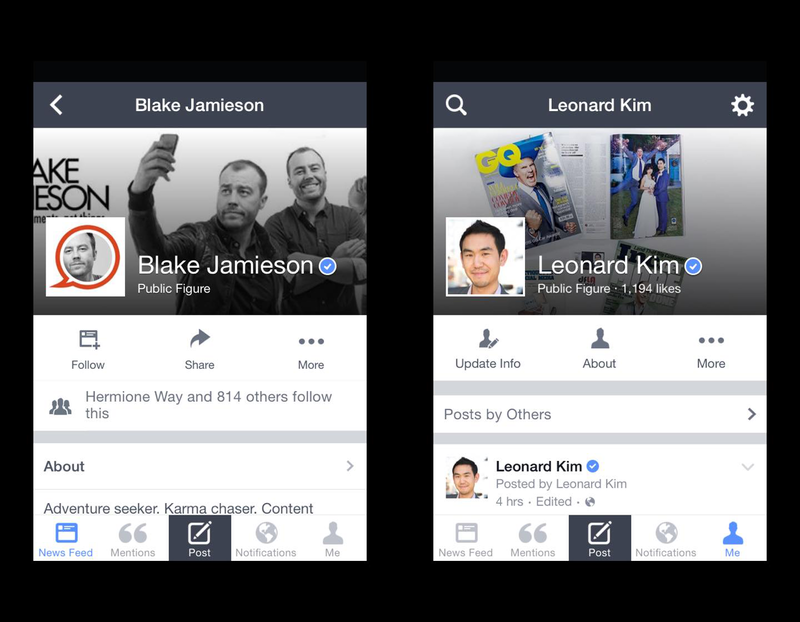 The elusive blue check mark — once reserved for celebrities and household names on Facebook — is easier to get than you might think. Here’s why it’s worth it. Both of us figured it might help us look a little more credible online and potentially help us land more speaking engagements. Although we were both denied four months ago the first time we applied, we refused to give up so easily. We tweaked a few small things on our Public Facebook pages, published consistent native content, then turned on a very modest advertising budget. 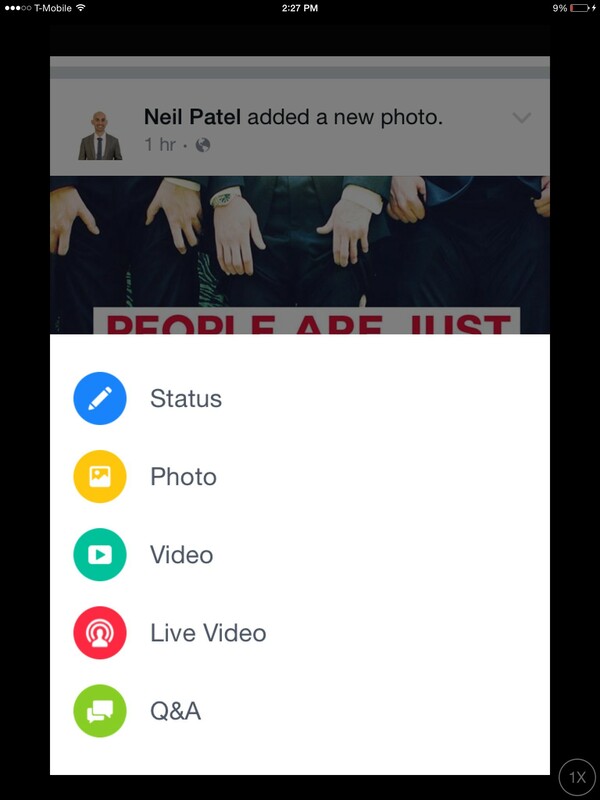 Blake maximized his video content as he understands Facebook is strongly backing video. I changed my approach from sharing just links, posting longer-form content. All in all, the process for us to set up our profiles to look verifiable took us a few hours of time and less than $30 in advertising fees. After much anticipation, both of us were awarded the tiny blue digital badge of internet credibility. I don’t know why, but for me, this was actually pretty thrilling. Regardless, immediately after Blake initially announced that he had been verified after his initial trial week, I went through the process and was verified within 48 hours. Then a handful of our friends reached out to us for advice. They were surprised to learn how simple the application process is. 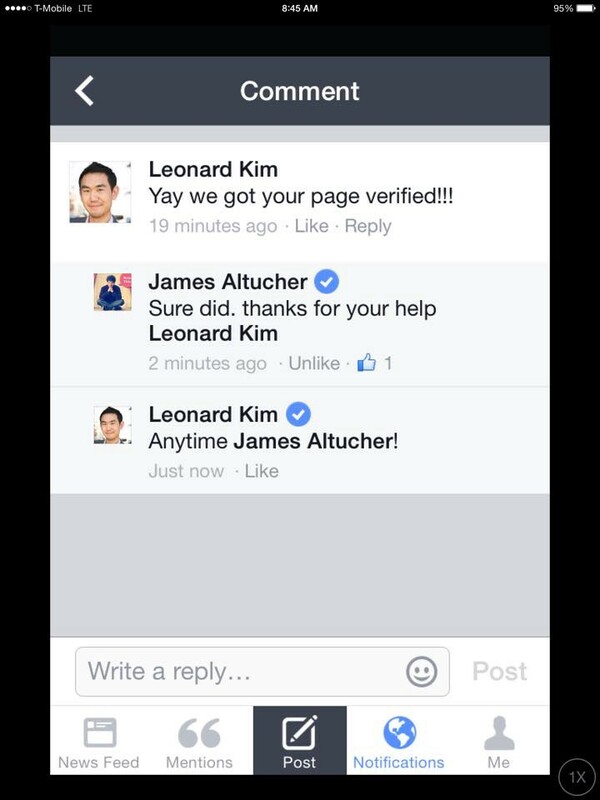 Despite the common assumption, verification seems to have nothing to do with the number of fans a page has. 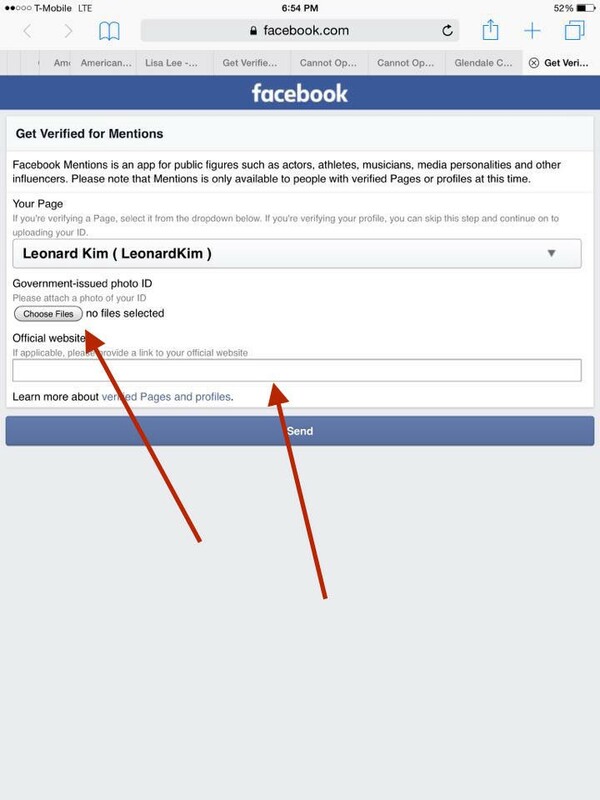 With proper positioning, a little effort put towards content, and a tiny advertising budget, we feel that anyone can get their public page verified on Facebook, as long as they fit within one of these categories: Public Figure, Actor, Athlete or Musician. To get verified, you will need a few things prior to submitting your application. 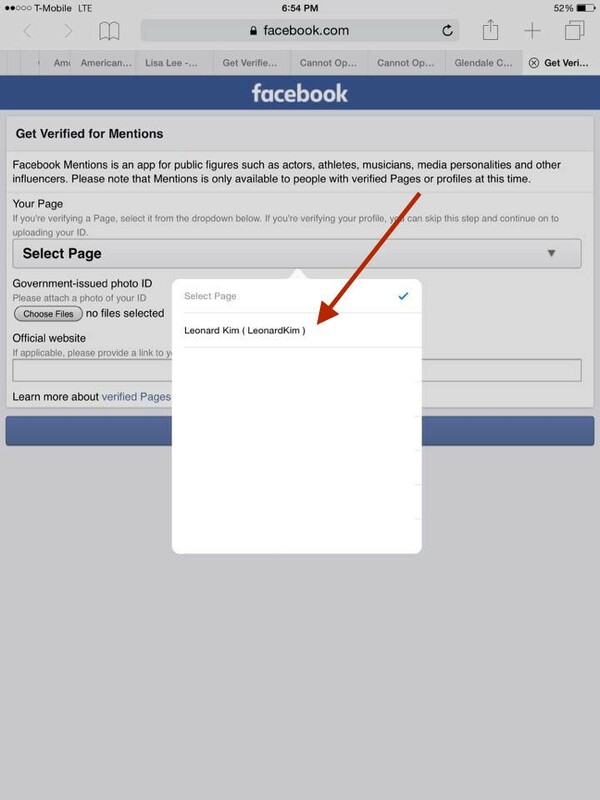 An existing public page under your name (you can’t use your personal page). A history of native content posted to your page. Some media references that have your name or image. An iPhone or iPad with an internet connection (Android devices should work in a few months). Step 1. 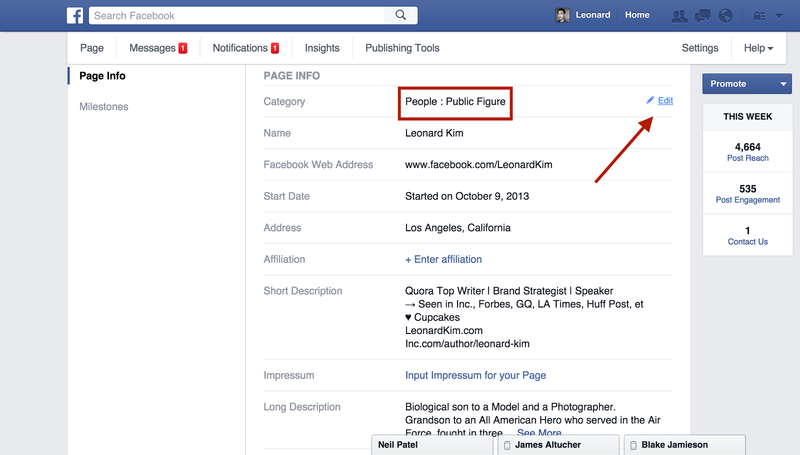 From your computer, if you are not an actor, journalist, musician or athlete, change your category from blogger, business person, writer, author, or whatever category you may have your page listed as to public figure. Step 2. 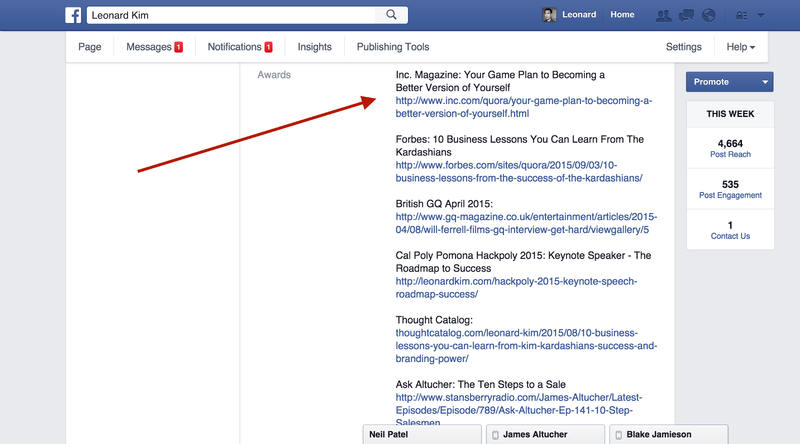 Under awards, put the publications you were in, the titles of the articles, followed with links. Step 3. Write a long form bio describing who you are and what you do. Mine is a bit long, so this is an example of Blake’s. Step 4. 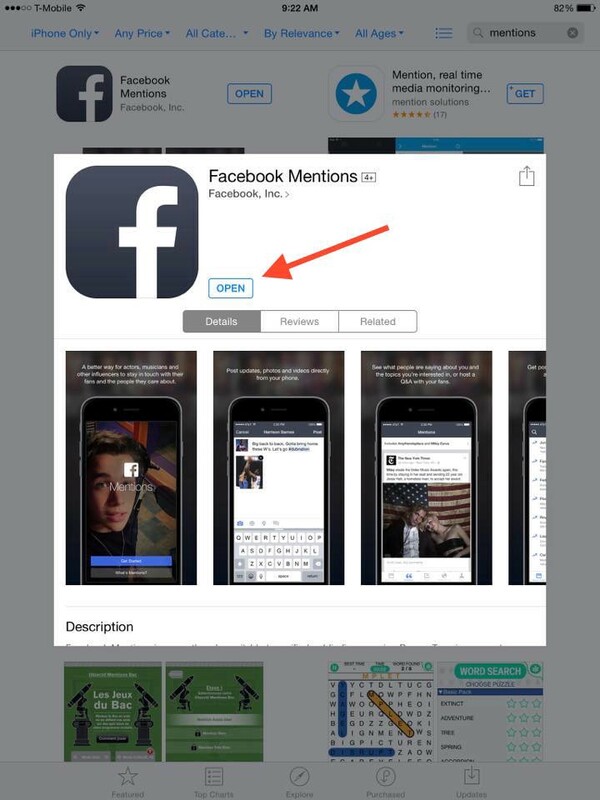 Download Facebook Mentions on your iPhone. Step 6. Type in your name. Since you aren’t verified yet, your page won’t appear. That’s okay though. Step 8. Now a form will load. 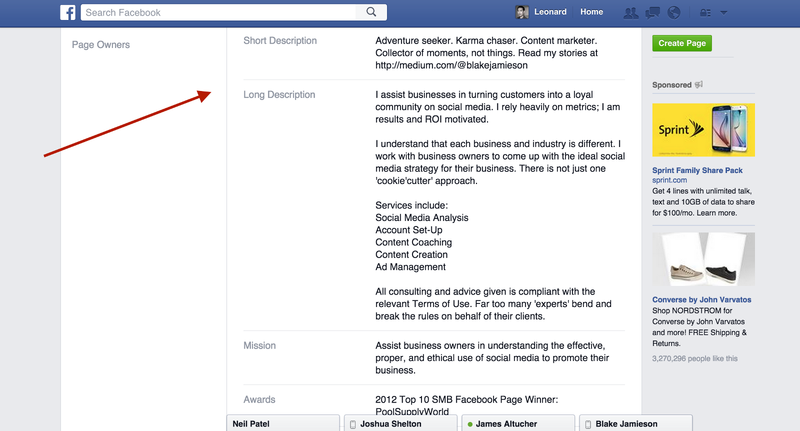 Select the page for your personal brand. Step 9. After you select the page for your personal brand, upload a copy of your photo ID and add a website link, then click submit. Blake used his personal website. I thought of doing the same with mine, but decided to use my Inc. column instead, as it provides a bit of additional credibility. Step 10. Run boosted posts or ads for around $5 a day for a week. Blake ran an advertising budget around $3 a day for a week. I did around $10 a day for 48 hours. After submission, now all you can do is wait. 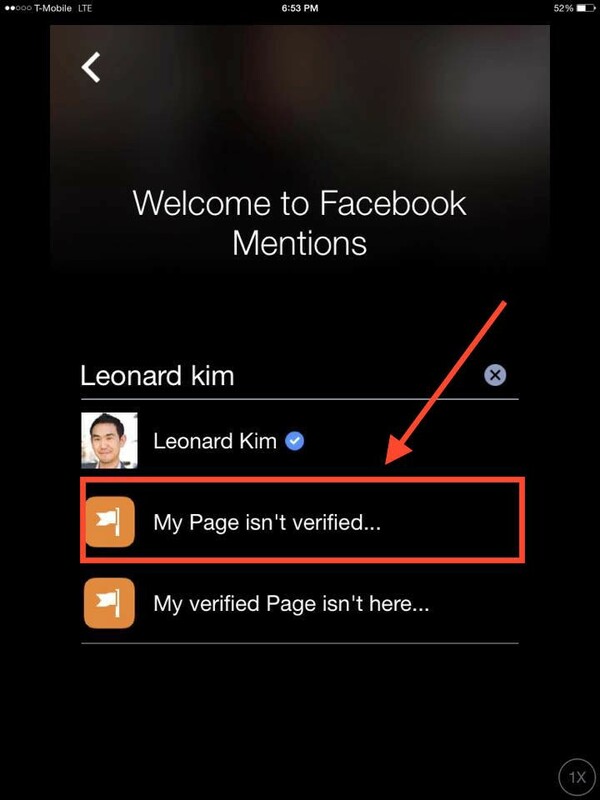 You’ll get notification for whether your profile was verified in a week with a blue check mark, plus you get to use the mentions app which is super clean and easy to use. How reliable is this process and does it work for others? 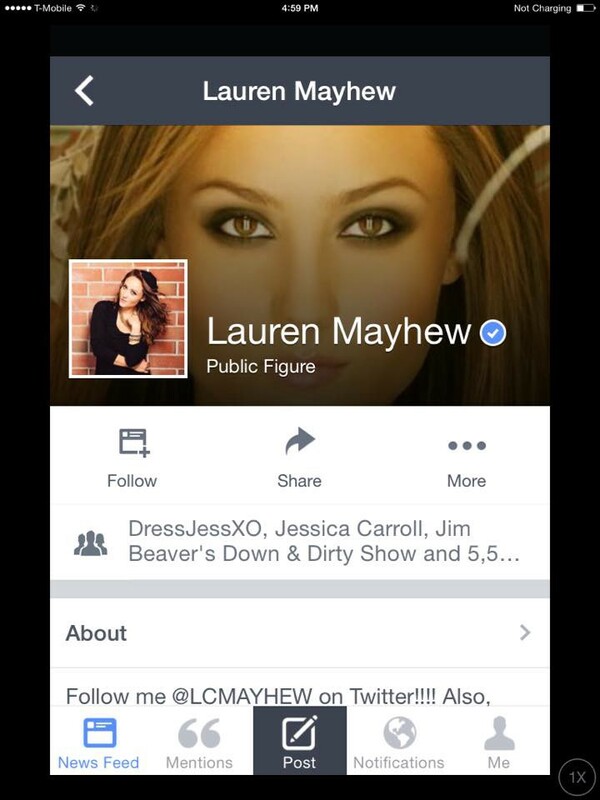 Blake’s friend Lauren Mayhew, who performed at Superbowl XXXV had reached out to him to see if she would get verified. It worked without a problem. 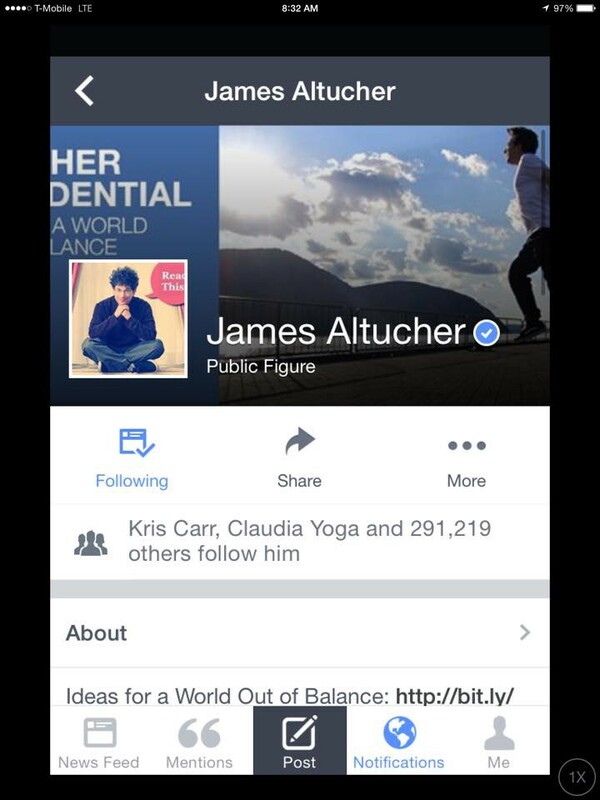 I also helped James Altucher get verified. 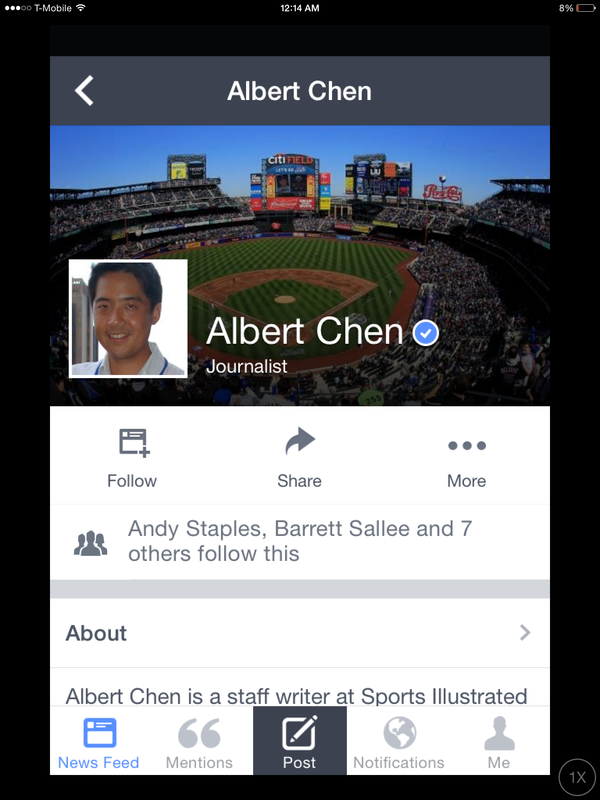 Plus if you’re worried about follower count or how many people like your page being an issue, journalist Albert Chen only has 6 likes to his page, but he’s verified as well. But why should you get verified and what are the benefits of having a personal brand? 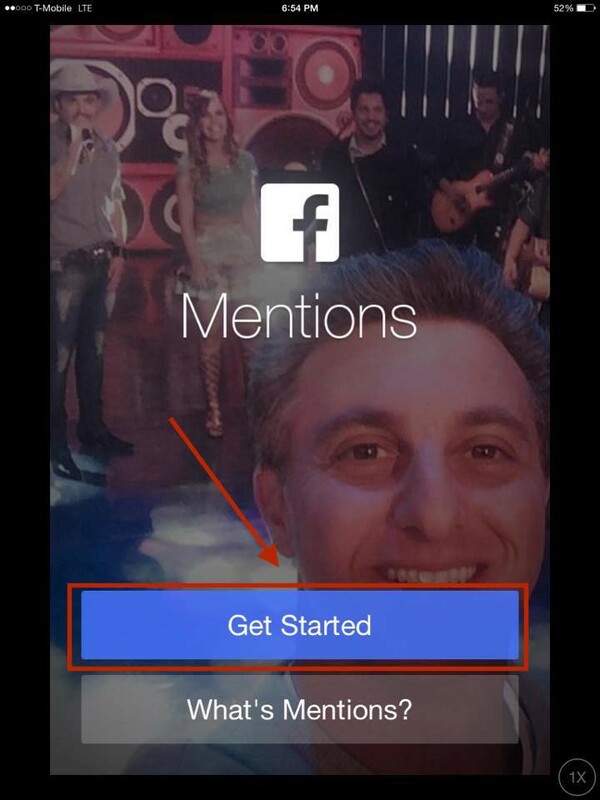 It allows you to utilize the Facebook Mentions app. As someone who understands the importance of a personal brand, I was able to excel myself within the top 20 most followed Quora Top Writers within a year and a half. From there, Blake and I were both able to grow our Twitter followings to the tens of thousands. But when looking at our Facebook pages, we didn’t have the same types of followings. Blake and I were always limited with the platform’s ability to allow us to interact with the pages in the way we wanted to, unless we dropped a ton of money into ads. So instead, we just put them in the back burner as just something that was there. 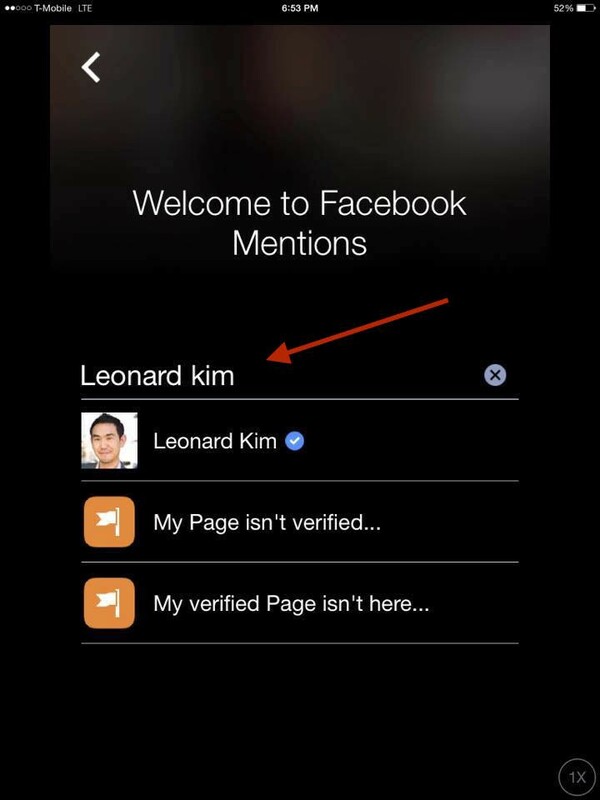 The Facebook Mentions app though is by far the best tool I have ever used to manage my personal brand on Facebook. It allows me to interact with my public page in the same way that I interact with my personal page, but with additional features. Those features range from being able to comment and like other pages (even on personal pages), connect with other successful people to get stories, check into businesses, synchronize posts from Facebook to Twitter and Instagram, putting up a Q&A and even providing a live video stream to your entire feed on demand. Because of these key features, my personal engagement rate with my page went from just paying my assistant to upload one link a day while I did a photo to actually having conversations and discussions on Facebook, both on my page and on others. Growing our public pages the same way we have with other platforms won’t be an issue for us any longer. It builds instant credibility behind your name. Believe me when I say this, but when I first saw people starting to charge for social media management, I thought it was a joke. I really couldn’t picture how companies could get away with hiring companies that put kids in charge of their brand. But that may be because I have an extensive background in the automotive industry that I never talk about. An industry that is so backwards and stuck in the past that it isn’t even funny anymore. Regardless, as the dust started to settle, I began to embrace change. I understood the importance of what social media could do for a business. The same thing happened for me with personal branding. Credibility is something that is changing in our world. Years ago, it wasn’t like this. But today, people seem to always judge others based on how many followers they have, what platforms they use, if they are verified and so forth. I thought my Quora following was just a number, until one day I was recognized at a house party filled with people who work in Finance in New York, 3000 miles away from home, all because I wrote a few articles on Quora. This happened a few other times, but at the end of the day, my name brand recognition has led me from being somebody people would never recognize and potentially being overlooked on bids for contracts to being able to book a lot more work and speaking engagement opportunities. That credibility in itself has been priceless. Something that I would never be able to put a dollar amount behind, because it has opened more doors in my life than I ever thought was possible. Plus, the effects of it compounds year, after year, after year. An example of that would be an invitation to one of Keith Ferrazzi’s renowned dinner parties. At the end of the day though, the blue icon is just 1,256 pixels on a digital screen. But it’s more than that. For Blake, Facebook had begun to feel repetitive and uninspiring. Getting verified has inspired him to distribute higher-quality content on his page. Blake feels like quality and consistency is now his duty, and that motivation is exactly what he needed. For me, I limited my public page’s use, but the Mentions app allowed me to interact on Facebook in the same way I do with my personal page, without having to worry about the stress behind adding people I don’t know into my personal space. Now both of us have a renewed sense of vigor to invest heavily into the platform. And best of all, you can too! I’d love to hear about your verification experience. Comment below with your fan page URL, and how the process was for you! Oh yeah and don’t forget to follow me on Facebook!